Planning to purchase a new home soon? Shift to another apartment? Or move house? Chances are you are busy thinking about the new place or neighborhood, how your kids will adapt or how you have to find them a new school, how you will have to adjust your daily commute and lifestyle, and so on. Of course, it’s great to think about all that, but something else you should give much thought about too is how you will move. Many make the mistake of putting this thought aside until the last days or when they’ve signed the new lease or agreement. Eventually, the majority end up dealing with frustrations, stress, and unforeseen expenses, which could have been avoided if plans were made early and a removals company was involved in the process. Well, you may never know how such a company will benefit you until you find out what to expect from them. Once you approach a removals company, there’s specific information they will seek from you. Besides determining where you intend to move to and from, you will have to specify what you plan to move. The information will then be used to put together a quote and organise the moving. An agreement with a removals company will comprise the terms of the move and a date when the move is to take place. On the day you are supposed to move, the company’s team will show up at a designated time and proceed to carry the items that are to be moved. You can prepare the items by having them boxed and well organized or you can enlist the help of the moving company in handling that. Single room/entire property move– This is where the company vacates and moves a single room for you. Usually, this applies to businesses that move premises. Complete Packing & Unpacking – Packing and unpacking items are sone of the most difficult tasks involved in This service caters for that. Special Packaging – Some items, especially the fragile or large ones, require special packaging. A moving company can supply all kind of special packaging for different items. Long & Short Distance – A local removals company mostly specialises in helping people who plan to move within a specific geographical location. 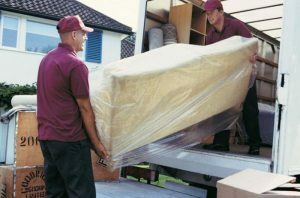 However, if you intend to move your items overseas or across the country, you will need a specialist removals company. Uniforms – All employees and staff have to wear special uniforms when performing their duties. Knowledge and experience – Movers have the training, skill, and experience required to conduct the moving process properly and to the satisfaction of the client. Insured – Usually, the items being moved will be covered by a moving insurance to give the client the satisfaction and peace of mind that their items are protected and in safe hands. If you are looking for a company that meets all the requirements mentioned, offers quality services, and cares about their clients, look no further than A2Z Removals in Peterborough. Our goal is to move your items fast, safely, and in an efficient manner while maintaining professionalism and the standards required of a competent removals company. Contact us today on 01733 350955 // 07950 776867 or email us here- enquiries@a2z-removals.co.uk for a free consultation.